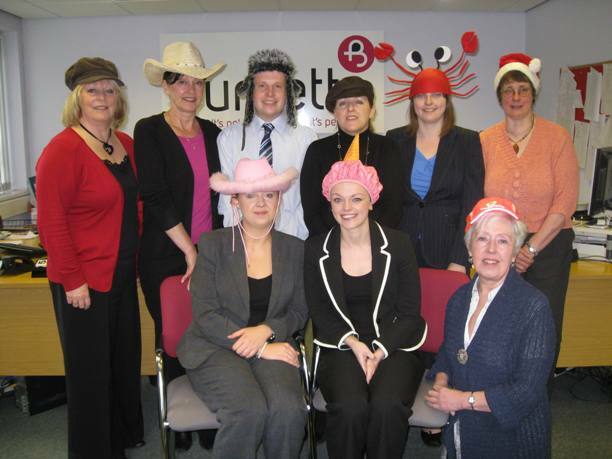 Burnetts is taking part in two events to celebrate Action for Brain Injury Week this week including running five kilometres in the SABIC Riverside Run in Middlesbrough on Sunday 13th May and donning wacky hats on Hats for Headway Day on Friday 18th May. Associate Sue Chappell and Paralegal Ross Galbraith from Burnetts’ personal injury team ran in aid of Headway Teesside. Ross is part of a small group currently setting up a new Headway group in Darlington . Burnetts has been accredited by Headway because of its expertise and experience in advising on the complex issues around compensation claims for brain injuries. Action for Brain Injury Week is taking place 14th – 20th May 2012. For further information on Headway visit www.headway.org.uk. Further information on Burnetts’ specialist brain injury team can be found at http://www.burnetts.co.uk.